No two business are the same. 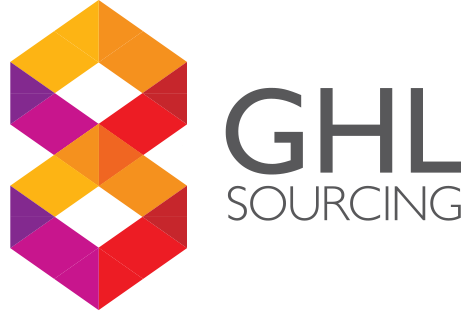 GHL Sourcing understands the need for a tailored and bespoke service and having worked with various companies at different stages of their business, we have experience in knowing the right steps to take, at the right time. Take a look below to find out more about the services we provide and schedule a call to find out how we can help you to grow your business. If you would like to arrange a one to one seminar to gain some knowledge and understanding about overseas manufacturing we are available to answer your questions and impart some useful tips. If you already have a supplier but you are having issued controlling quality or ensuring they meet your supply dates we are happy to help. Due to our expertise in many areas of production we are also able to work with suppliers to improve their manufacturing efficiency. For general admin and critical path analysis, we charge £250+VAT per day. For manufacturing analysis and price/contract negotiation, we charge £365+VAT per day. When launching a product there are many pitfalls which can trip you up. As a company, we have a huge network of suppliers in many different areas of manufacturing. Additionally, within our team, we have decades of manufacturing experience. As such we are perfectly placed to help guide you through product development and get you the product you want. We have a passion for helping you get new products set up for manufacturing. If you wish to discuss this in more details please contact us. As a company, we are not looking to break the project’s finances and we offer full service at competitive prices. Due to the varying nature of each product, after our initial free of charge meeting, we will send development proposal outlining the steps we would take to get your product ready for manufacturing and our associated cost. The cost for this service is bespoke. This is by far our most popular service as it removes the stress involved in Far East manufacturing and hands over the responsibility so you can concentrate on selling and developing your business. This service is a complete supply chain solution and gives you a GBP£ for goods delivered to your warehouse. Implement a customised QA procedure if you have specific requirements. Our cost for this service is a % of the product cost. To stop this becoming restrictive we band the % into the below groups.